The majority of cells in the nervous system are glia. Long thought of as passive bystanders, glial cells are increasingly being appreciated for their active roles in nervous system development, function, and disease. Written and edited by experts in the field, this collection from Cold Spring Harbor Perspectives in Biology examines the development of the major classes of glial cellsastrocytes, oligodendrocytes, Schwann cells, and microgliaand their roles in normal physiology and disease. 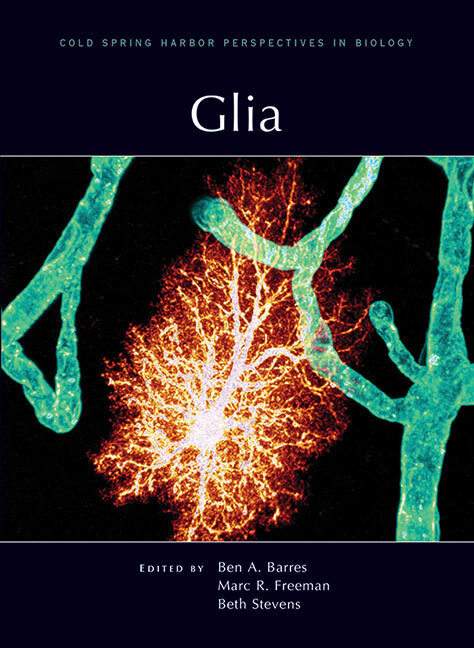 The contributors describe how glia help establish and refine synaptic connections, maintain the metabolic and ionic milieu of nerve cells, myelinate axons, modulate nerve signal propagation, and contribute to the blood–brain barrier. The biological characteristics of glial cells in vertebrate and invertebrate model systems, including those of Drosophila, Caenorhabditis elegans, and zebrafish, are also covered. The authors also discuss the roles of glia in repair and regeneration, as well as in cancer and neurodegenerative diseases. This volume is therefore a valuable reference for all neurobiologists and biomedical scientists wishing to understand these diverse and dynamic cells. How Do Astrocytes Participate in Neural Plasticity?